Moab is one of my favorite places in the entire world. My husband calls it my happy place. We go 3-4 times every year just because it’s amazing, and I even blogged about spending my birthday there this past winter. Every time I’m there, I’m more and more amazed by it’s beauty and I’m pretty sure I could shoot 100 Moab elopements every year and never get tired of it. Arches National Park | I recommend La Sal Mountains Viewpoint, The Delicate Arch and Pine Tree Arch, though other locations are available. Canyonlands National Park | Wedding ceremonies are only permitted at three locations in the park, Grand View Point, Green River Overlook and Mesa Arch. I personally prefer Green River Overlook and Mesa Arch. 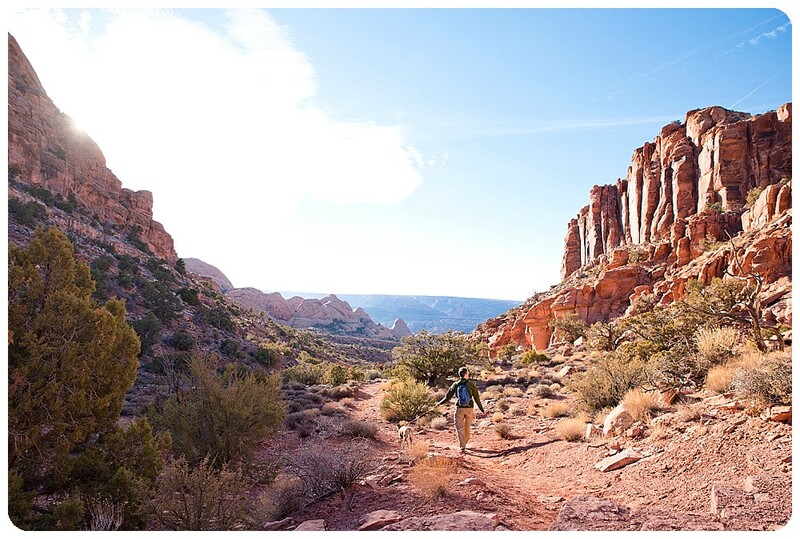 Note – Arches and Canyonlands are beautiful, but they are NOT dog friendly. If you plan to include your furry friend, these are not good options. They also both require permits and have some restrictions. 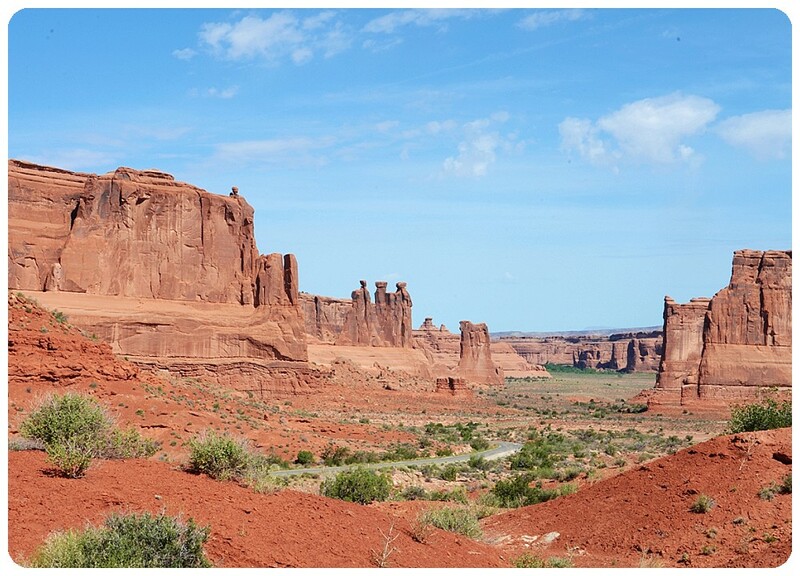 You can see more on that here – Arches, Canyonlands. Bears Ears National Monument | A hidden gem south of Moab, climbers know this area as Indian Creek. This area had been BLM land for years, but was recently designated as a national monument. There are dozens of pull offs and beautiful areas, but my favorite would be on top of Hamburger Rock Campground or the road that leads to it. Note – This area is still very untouched and could easily be put in the Off The Beaten Path category. 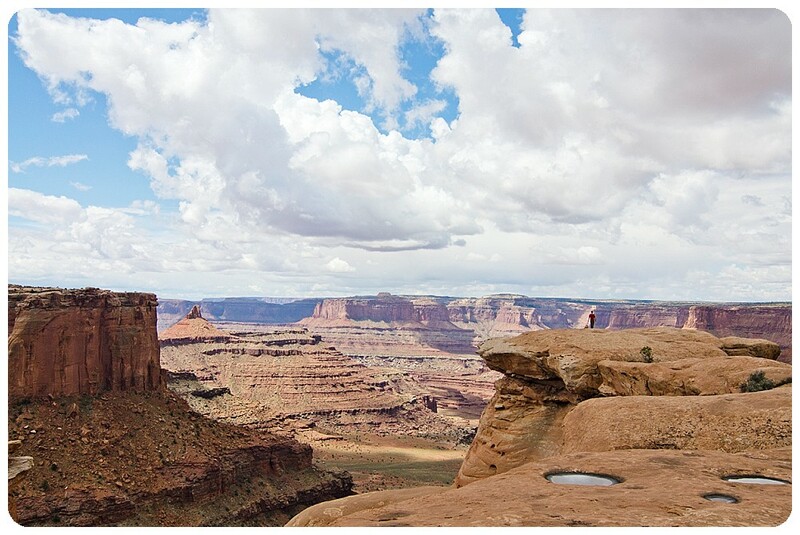 Dead Horse Point State Park | My favorite spots are the Rim Overlook and Big Horn Overlook. Both require relatively easy hiking. Note – Dead Horse Point State Park does require a Special Use Permit. View from the Big Horn Overlook Trail at Dead Horse Point State Park. My husband and dog for perspective. 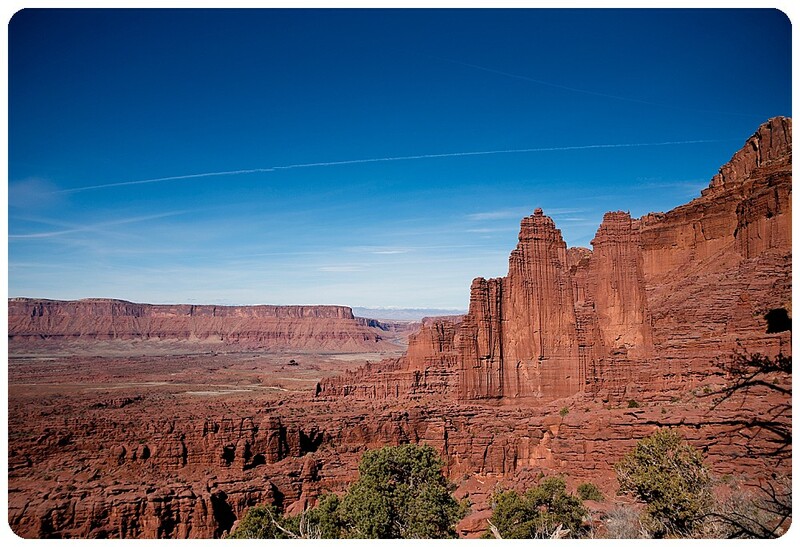 Fisher Towers Trail | This 5.2 mile out and back trail is photo worthy in every aspect. You can hike all the way to the end to exchange vows, or stop about mile in and say your vows with the famous Ancient Art tower in the background. View of Ancient Art from the Fisher Towers Trail. Hidden Valley Trail | A little oasis tucked up above Moab. This 4 mile out and back trail has an amazing view at the end. The view at the end of Hidden Valley Trail at sunset. Whispering Oaks Ranch | A wedding venue just outside of Moab with beautiful views. They host weddings, but offer elopement packages as well. Click here for more info! If you’re an awesome, adventurous couple who is planning a Moab Elopement, I’d love to be considered as your photographer. Shoot me a message and let’s chat! Ughhhh I need to go back to Moab! So purdy!